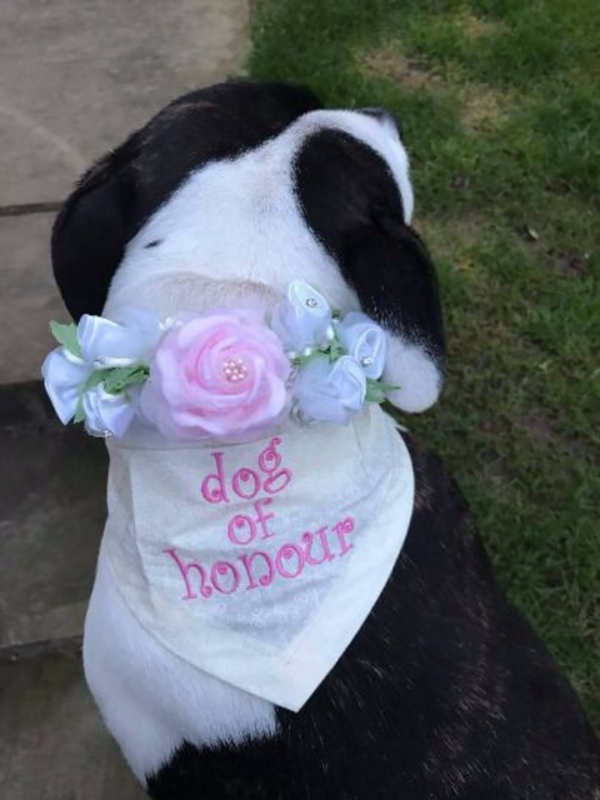 Dog of Honour Wedding bandana, so your Dudiedog doesn't feel left out on your special day! 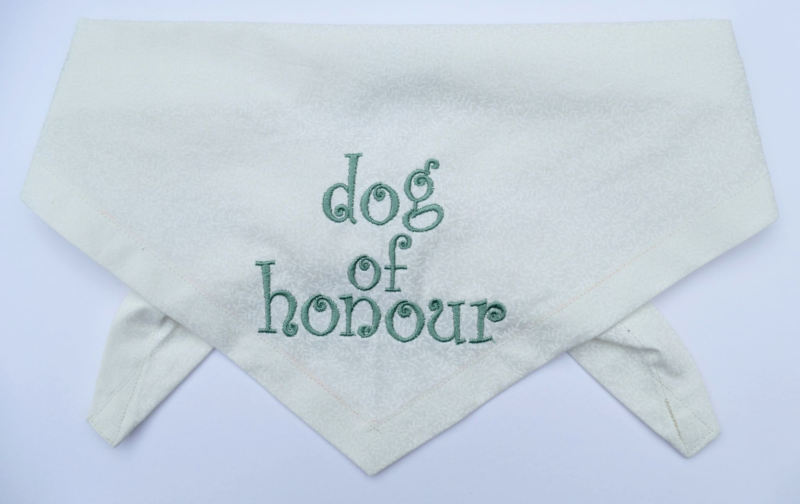 The perfect wedding dog bandana if your dog is going to be Dog of Honour on your special day! It's made of a beautiful, high quality ivory/ecru cotton fabric, decorated with a tiny, subtle leaf print. I've embroidered this one with a cute curly font and a pretty pink thread, but you can choose a different thread colour at checkout. 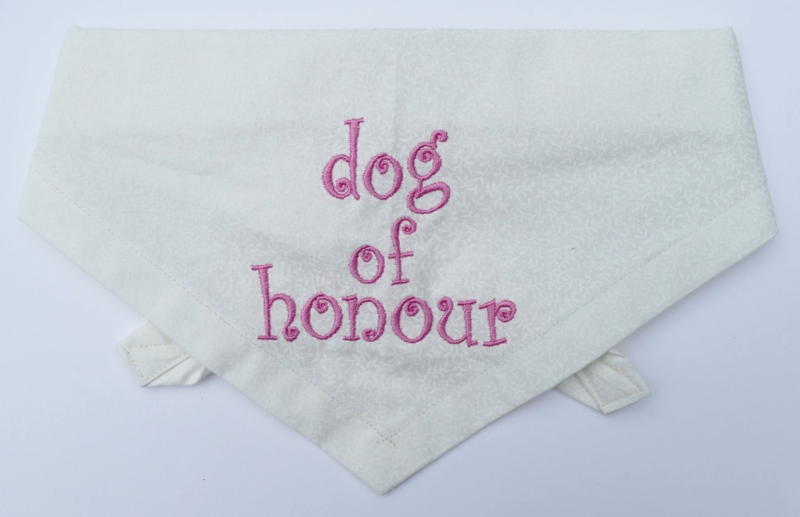 I can embroider this with the UK spelling as shown here, or the US spelling 'Dog of Honor'. 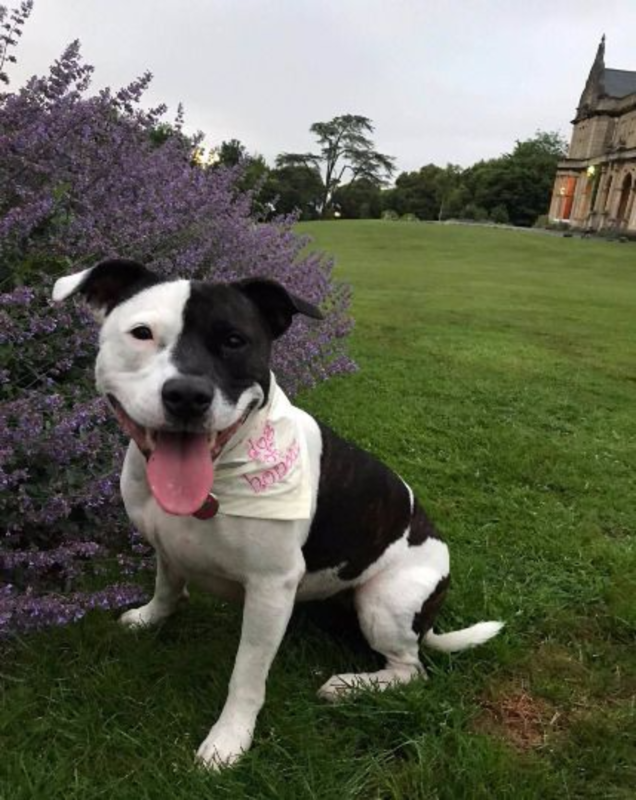 (I will embroider the UK spelling unless you leave a note on your order) Please note that the flowers on the second photo are the dog's own and aren't supplied with the bandana!